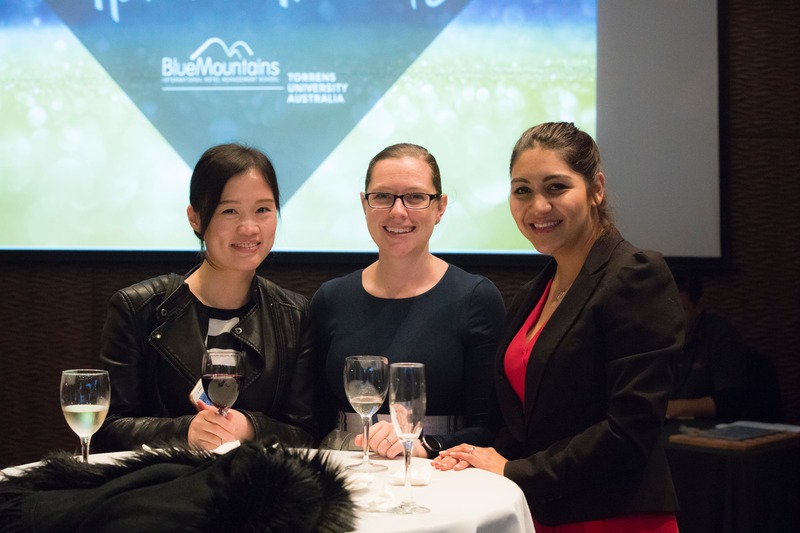 Blue Mountains International Hotel Management School, BMIHMS, is Australia’s leading hotel school for hospitality education. We provide internationally recognised hospitality and business degree courses that are highly respected within the global hotel, restaurant, catering and event management industries. Study at Australia and Asia Pacific’s Number 1 hotel school (Taylor Nelson Sofres Survey 2013). Graduate with a globally recognised business management qualification accredited by the Australian Higher Education accreditor. Each hospitality degree program has an integrated industry placement, providing valuable experience and skills for students. The Blue Mountains International Hotel Management School (BMIHMS) has been providing hospitality education since 1991. The school was the first of its kind in Australia when it opened and has grown to be recognised as a leading provider of Hospitality Degree Courses. Blue Mountains International Hotel Management School, BMIHMS, is Australia’s leading hotel school for hospitality education. They provide internationally recognised hospitality and business degree courses that are highly respected within the global hotel, restaurant, catering and event management industries. You can choose to study an Undergraduate business degree in International Hotel and Resort Management, or International Event Management. We also provide Masters Degree Programs, which include International Hotel Management and Global Business Management. BMIHMS is dedicated to helping you become workplace ready. The School has career development offices on both campuses, with staff available to guide and assist you in finding suitable industry placements.To fulfill your course requirements, you must apply for and accept one of the recommended positions in Australia or abroad. You must also meet the position selection criteria and pass a job interview. The Career Development team will help you prepare and develop the professional skills needed for employment. Undergraduate students live and study on the Practical Learning Centre, Leura campus, which has a close international community with people from over 50 nationalities. The campus is operated as a simulated hotel where students are both staff and guest, experiencing an environment preparing them for entering the hospitality industry. The 3rd year of the degree is completed at our Sydney campus in the heart of the city. Students studying at Sydney Campus or Melbourne Campus live off campus. Students organise their own accommodation in private housing throughout the city and surrounding suburbs. Lectures are video recorded through our e-podium system, enabling students to access them for revision. Teaching and IT – modern lecture theatres (fully equipped with state-of-the-art technology), commercial kitchens, training restaurants, 24/7 wireless Internet, intranet site, school email service, library and Mac computer labs ensuring Blue Mountains students have access to the latest in hospitality teaching trends and technology. Overseas Student Health Cover (OSHC) is a requirement of the Australian Government for all international students. The charges need to be paid prior to your visa being issued. You will need to pay for cover for the duration of your study program. OSHC is necessary to assist costs associated with any required medical treatment needed while you are studying in Australia. Over 23 years the Leura campus has developed hospitality degree courses where students live and study in a simulated hotel environment. Located on 2 hectares of landscaped private gardens, 1.5 hours from Sydney, the residential Leura campus has well-appointed accommodation and modern teaching facilities. Various recreational options for students include visits to independent boutiques, bookstores, chocolatiers, craft shops, art galleries, shopping malls, cinemas, bars, clubs, an extensive choice of restaurants and several local festivals. Recreation facilities include a fully equipped gym, basketball court, swimming pool and barbecue area. The student lounge has a home cinema, games systems, ping pong table, pool table, as well as vending machines. All BMIHMS at Torrens University undergraduate and postgraduate courses are fully self-accredited by Torrens University Australia in accordance with the Australian Higher Education Standards Framework (2015) and regulated by the Tertiary Education Quality and Standards Agency (TEQSA).